Smaller towns set themselves apart from big cities by local events that involve the community. No where is that more prevalent than here when Ludington hosts the Western Michigan Fair. The Western Michigan Fair is where you see your friends and neighbors, celebrate the waning days of summer, and appreciate good family values. The big cities may have the advantage over us in certain things, but nothing beats the feeling you get living in a cozy, friendly town with annual events like the Western Michigan Fair. Fair entrance is generally $3 per person, with children 5 and under entering free. Ride wristbands are generally $22 or $20 with coupon Thursday and Friday. 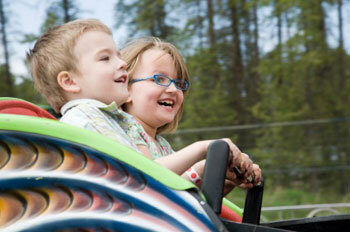 Purchase a mega ride pass for $60 for unlimited rides all week! Stampede 5k Fun Run/Walk, 8:30am. Annual Barn Brawl (youth wrestling), 9am, Show/Sale Barn. Stay tuned for information on the 2019 Western Michigan Fair! Events are listed according to the information available at the time of the most recent update to this story. The schedule is subject to change. For more information, see www.masoncountyfairgrounds.com. 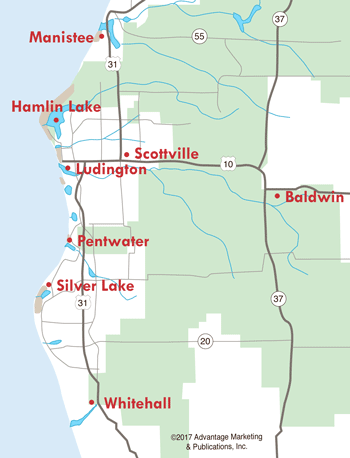 With the exception of WWII, the fair has been held every year since 1936 at the Mason County Fairgrounds on US-10 in Ludington. The public enjoys the midway, demolition derby, harness horse racing, and grandstand shows. But the real attraction of the fair is the 4-H exhibits and animals. Area youngsters who have worked hard the past year raising their sheep, chickens, cows, and rabbits proudly wait for the judge's ribbon. Equestrians get their chance to showcase their horses, and homemakers busily prepare their pies and other homemade goodies for judging.